When a child was born, he/she was laid at the feet of the paterfamilias, the head of the family household, usually the father of the child. Raising the newborn up in his arms, he acknowledged the child as his own and a member of his household. If he examined the child at his feet and found it was defective in some way, the baby was occasionally given to a nurse or household slave to be abandoned on one of the garbage dumps or dung heaps of the city. 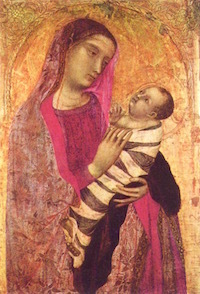 After the swaddled child had been accepted into the family, a bulla was hung around the boy’s neck. 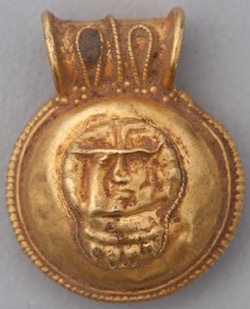 The bulla was a gold (if the family was wealthy) or a leather pouch containing amulets to ward off evil spirits. The thought was that children were particularly vulnerable to evil and disease. The boy’s bulla contained phallic objects. A lunula, a crescent-shaped necklace, was hung around the girl’s neck as her protection. 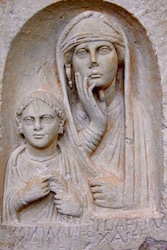 Lunula on a little girl carved in relief in the Ara Pacis Augustae temple in Rome, c. 13 BC. 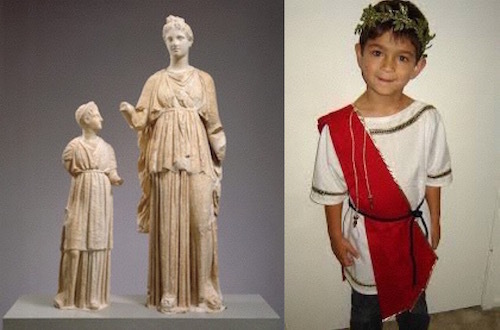 The young girl is wearing a child’s toga, a smaller version of what her mother would have worn. There seems to have been a more intentional graduation of garments for the boys in Rome than for the girls. When the boy became a man between the ages of 14 and 17, he took off the bulla and gave it to the gods. When a girl was married between the ages of 14 to 16, she took off her lunula on the eve of her wedding day. Both lunulas and bullas were worn on a chain, cord or strap around the neck. Children were not considered really “people” until they reached the ages of 5-7 probably because there was a high mortality rate for children. When they became little girls, they wore a long plain white tunic with a woolen/leather belt tied around their waists. High-born little boys wore a tunic with a purple or red border that reached to their knees. The colored border declared they were freeborn and of a good family. If it was cold outside, both children wore a cloak. After Caesar’s Gallic Wars (58-50 BC) in France/Germany, Romans adopted the pants/trousers they had seen soldiers wearing in the colder climates. 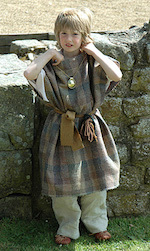 Notice the modern Celtic pattern on this boy’s tunic (left), the bulla around his neck and the trousers. 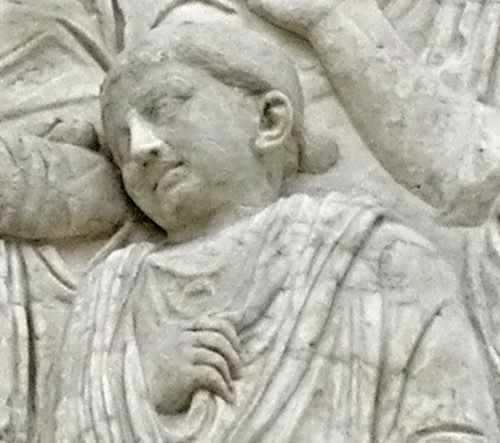 When the boy grew older, he wore the toga praetexta as a symbol that he was approaching manhood. When the young man assumed the toga virilis, his father sent him for a year to a friend or mentor in the army or in civilian life. There he began his training to be a useful and patriotic Roman citizen. The young girls were married off at early ages between 14 and 18. Notice the wary looks on both the face of the bride and the groom (below). It probably was an arranged marriage. 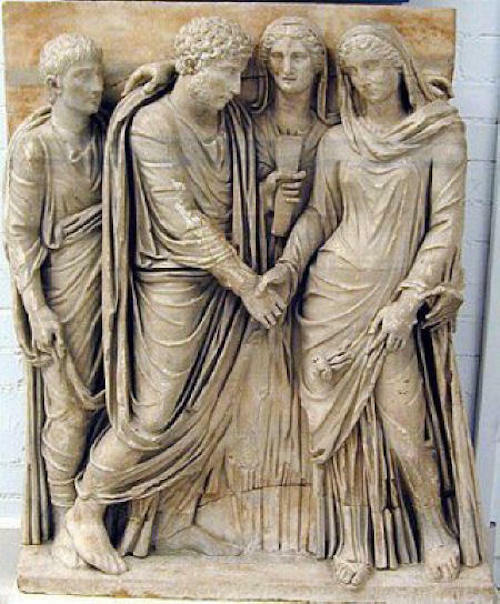 The marriage contract is in the hands of the woman between the two young people. Both young people are clad in beautiful, likely colorful, togas. The young woman has a head scarf that could have hid her face before the marriage ceremony. 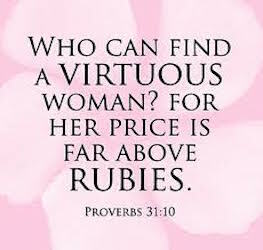 When girls were young, their mother taught them the Roman virtues and the arts of home management, weaving, sewing and if she was a normal citizen and did not have servants, the art of cooking.